When you’ve tackled all the main points plus the needed details of your phone transaction, you can end the call without coming across as ill mannered. From time to time we find ourselves caught in phone conversations with overly enthusiastic clients or colleagues blabbering about something for what can seem like years. Instead of a quick and simple phone call, you face a task that consumes important time in your day. You need not fall behind in your work if you know how to finesse your way out of the conversation. The magic word: tact. You can keep the conversation short and direct without sacrificing good manners. Get on with the business at hand and exit the conversation gracefully and politely. If you know a particular colleague or co-worker has a tendency to talk too long, send him an e-mail to ask questions or address issues. It will save you both time and energy. Stick to business. Do not let the talk wander to other topics. Make it clear the phone call concerns business only. Also, keep the person with whom you speak focused on the topic at hand. If he veers off to something else, steer him back politely. You may use expressions such as “but about…” and “I don’t want to take up too much of your time…”, then reiterate the main point to him. These firm but courteous expressions will signal him to center the conversation on business concerns. Formulate your questions with the specifics in mind. Use closed-ended questions to keep the conversation on track. Close-ended questions virtually guarantee a straight-to-the-point questions-and-answer session between you and the person on the other end of line. Recap the main points. Highlighting the gist of the discussion helps ensure you address all your concerns. Repeat the issue at hand and how you plan to manage it. Assure the person on the other line you plan to address her concerns. Politely inquire if the other speaker has any other concerns related to the topic. You may also ask him if you can do anything else to assist him. Once more, emphasize the purpose of the call and stay strictly focused on it. 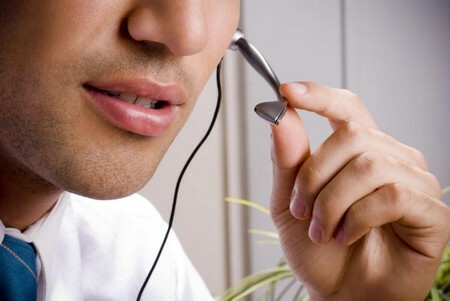 As you conclude your call, the other person will likely acknowledge you have discussed everything you planned. End with a standard courtesy. Depending on who initiated the call, say” thank you” to the person on the other end of the line for calling or giving you her time. Assure her you will follow up with whatever the situation requires. End the call by saying, “Thank you for calling” or “Have a nice day.” Do not get yourself into goodbyes where you exchange too many pleasantries with one another.